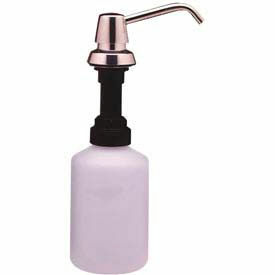 Counter Mount Manual Soap Dispensers Feature Free-Turning Easy Pour Spouts For Versatility. 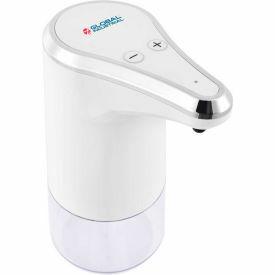 Counter Mount Touch-Free Soap Dispensers Help Reduce Maintenance And Waste While Improving Hygiene. 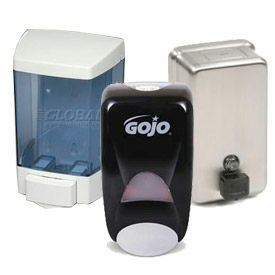 Counter Mount Touch-Free Soap Dispensers are made of ABS plastic, metal or stainless steel for long lasting durability. 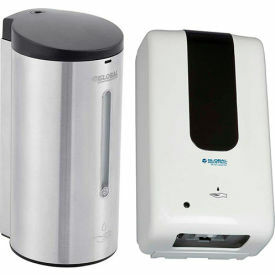 Motion activated dispensers are battery operated with key-lockable battery chambers for security. 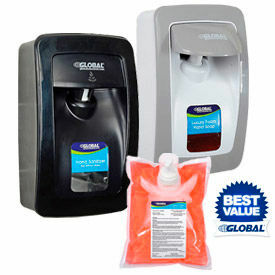 Touch-Free Soap Dispensers dispense Foam or Liquid and deliver measured amounts of soap to prevent waste. Refill viewing window provides easy maintenance. Capacities range from 14 liter to 1600 ml. Color finishes are Chrome. Chrome/Black, Stainless Steel, Polished Chrome/Black, Brushed Chrome/Black, Brass/Black, Nickel, and White. Dimensions vary per model. 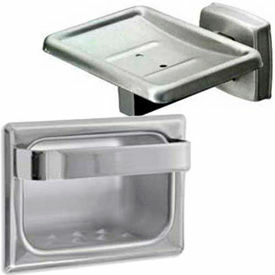 Bar Soap Holders Are Used In Offices, Schools, Residential Complexes And Restaurants. Bar Soap Holders are made of stainless steel, brass or plastic for long lasting durability. Variety of styles available to meet janitorial and maintenance requirements for bathrooms. Color finishes and dimensions vary per model.